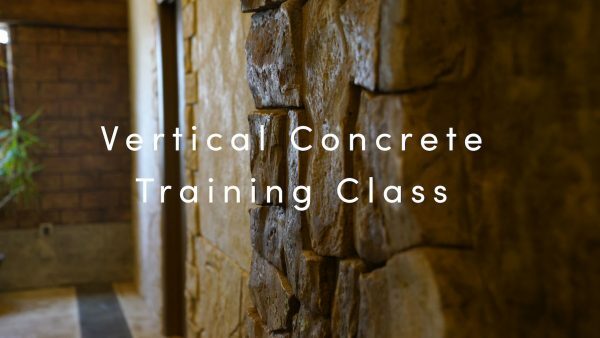 Learn the many and diverse uses of Moon Decorative’s Vertical Concrete Mix in this 2-day Vertical Concrete Training class! You can make walls, boulders, trees, benches, tables and even grottos — anything your mind and heart can imagine. Alongside an experienced teacher, you’ll learn how to prep, reinforce, apply, stamp, carve, and color vertical concrete. You will explore vertical stamping and hand carving to create natural and realistic looking boulders and kitchen facades. The hands-on experience will give you the confidence to try these techniques anywhere your creativity takes you. Lunch included both days. Time: 8:00 am to 5:00 pm both days.